The 1980s were a time of heroes, at least in the movies. In 1983, Return Of The Jedi brought the original Star Wars trilogy to a triumphant, Vader-killing, Empire-overthrowing conclusion with protagonist Luke Skywalker finally becoming a full-fledged Jedi knight. Also: Ewoks were in it. The very next year saw the release of Ivan Reitman’s spooky comedy Ghostbusters, whose protagonists were jumpsuit-clad wiseacres saving New York City from a massive, pernicious spectral infestation. Instead of Ewoks, this film had Slimer and the Stay Puft Marshmallow Man. Both movies had catchy theme music, numerous ghosts, big explosions, colorful villains, elaborate special effects, and characters that could be easily translated into action figures and other merchandise. No wonder they captured the imagination of kids everywhere. 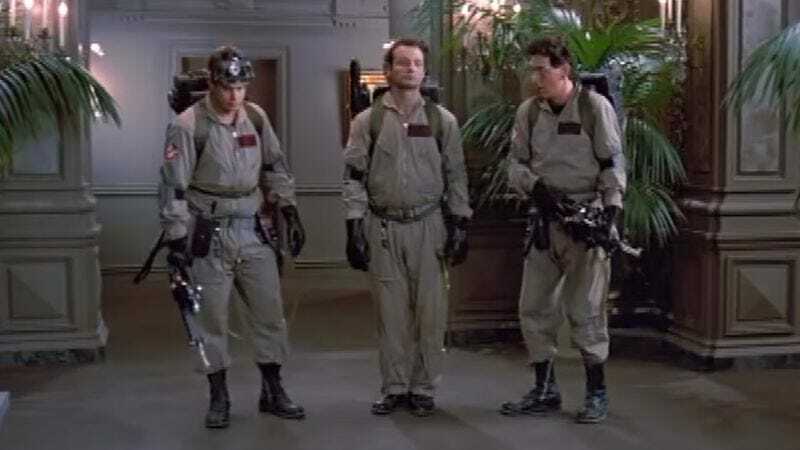 But what would have happened if the trio of Venkman, Stantz, and Spengler from Ghostbusters had run across Luke Skywalker from Jedi in an unprecedented, inter-franchise crossover? Would it have been an epic meeting of the gods or just sort of an awkward misunderstanding? In this cleverly edited mashup from Mike Phirman, it definitely turns out to be the latter. “Ghostbusters Vs. Luke Skywalker” sounds like the name of some home-brewed, copyright-flaunting video game or maybe just a fantasy role playing scenario for kids at recess. But Phirman’s video shows the humorous if disappointing reality of what might have occurred if these particular pop culture streams were crossed.